.55 acres of beautifully improved table and ravine land on Moraine Road in Prime East Highland Park! Lot is 23,960 sqft. Deep wooded lot and private yard is framed by mature trees and award-winning landscaping overlooking the Boyington Ravine. 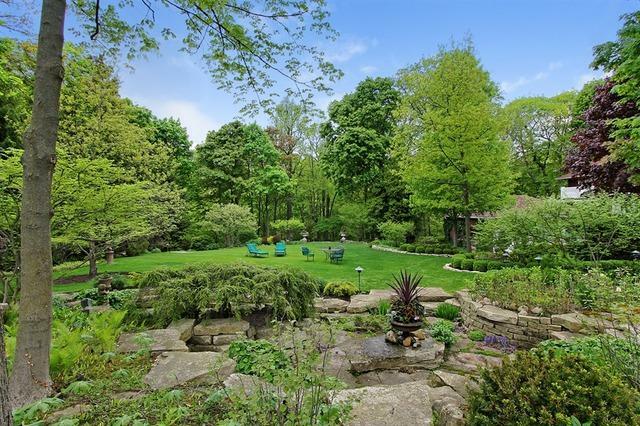 Lot has been extensively improved to include award winning landscaping and limestone pond, extensive drain engineering, and ravine & bluff engineering. Exceptional location within walking distance to Lake Michigan, Moraine beach, town & schools. Please contact city of HP to confirm zoning and FAR. Listing agent has broker interest.